Panorama Tours Salzburg City Guide "The Sound of Music"
Discover the real story of "The Sound of Music" family in Salzburg! The Von Trapp family were residents of the city until 1938 and this handy guide reveals how their life really was before it made musical and movie history. Learn more about the real sights and places that became the background of one of Hollywood's most successful films ever! The booklet includes 135 photos, so you can compare real life to the movies. Additionally, anecdotes and set gossip give an inside look at the behind the scenes life in 1964, when "The Sound of Music" was shot in Salzburg. Welcome to Salzburg! This booklet is not only a helpful guide, it makes for a beautiful keepsake. 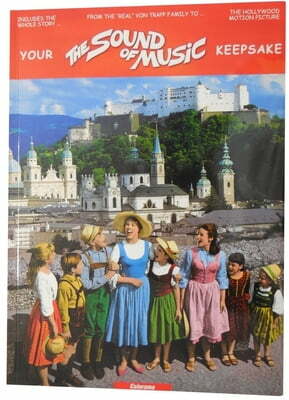 Questions & Answers about Panorama Tours Salzburg City Guide "The Sound of Music"